Per his military service record (regimental no. 25628), Walter Cavill was born at Bulli, N.S.W. He gave his age as 22 years and 4 months, his marital status as single, and his occupation as electric crane driver. He claimed to have no previous military experience. His description on his Certificate of Medical Examination was height 5 feet 8 inches tall, weight 146 lbs., with a ruddy complexion, grey eyes, and dark brown hair. His religious denomination was Church of England. 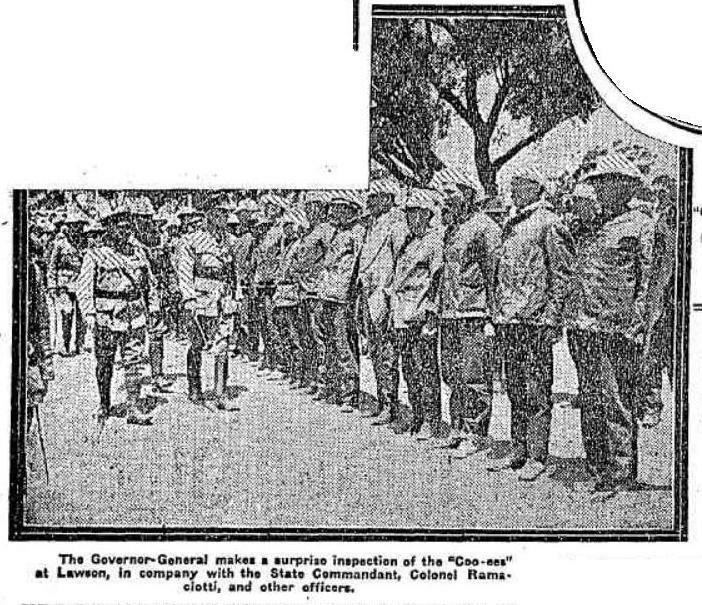 He was attested by Captain Eade at Lithgow on 3rd November 1915 (the day the Coo-ees marched from Lithgow to Hartley). 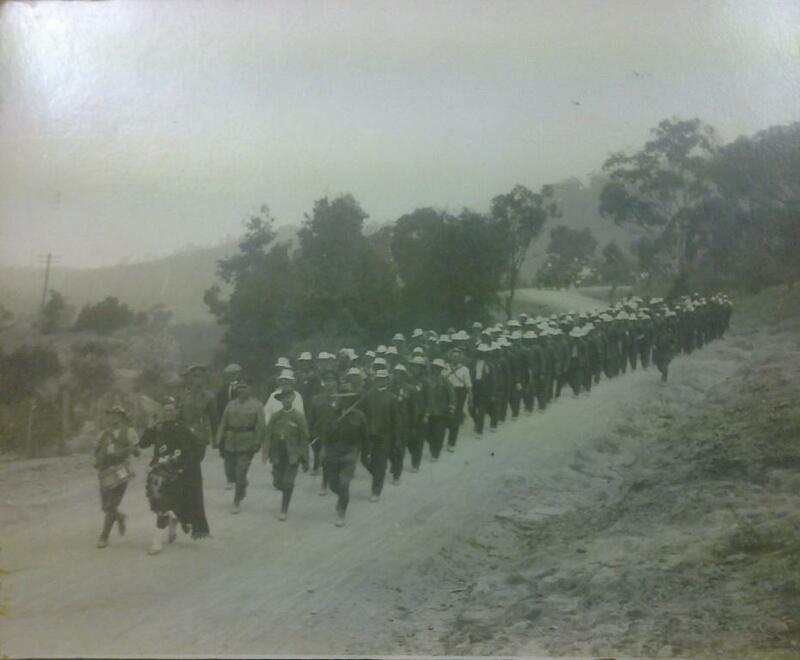 He completed his medical at Lawson on 6th November 1915 (the day the Coo-ees marched from Katoomba to Lawson). On 5th January 1916 he was transferred to the reinforcements for the Field Artillery Brigade. On his embarkation roll his address at time of enrolment was Main Street, Lithgow, N.S.W. His next of kin was listed as his father, J. [John] Cavill, P.O. Clifton, N.S.W. On 29th July 1916 Driver Cavill departed Sydney on the H.M.A.T. Orsova A67 with the 4th Reinforcements for the 4th Divisional Ammunition Column. 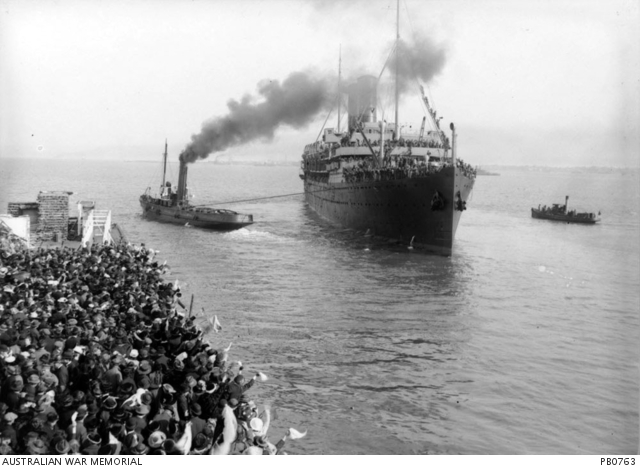 HMAT Orsova A67 leaving Melbourne 1 August 1916. 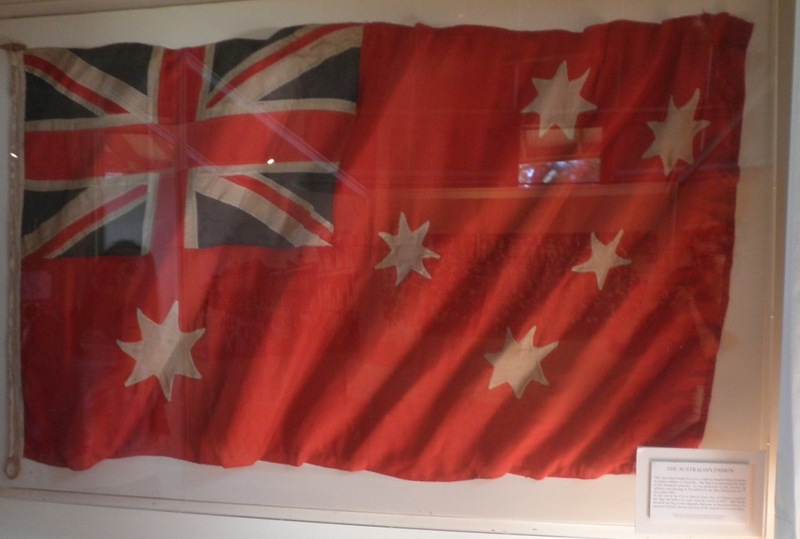 Part of the Australian War Memorial collection. PB0663. He arrived at Plymouth in England on 14th September 1916. On 9th October 1916 Driver Cavill was charged with overstaying his leave from midnight on 8th October 1916 till 0930 on 9th October 1916 from No. 1 Camp at Parkhouse. He was fined one day pay. On 24th October 1916 Driver Cavill transferred to the 55th Battalion at Hurdcott, England. On 4th December 1916 Private Cavill was charged with being absent without leave from 0630 on 22nd November 1916 till 0630 on 1st December 1916. He was awarded 21 days Field Punishment No. 2 and fined 33 days pay. On 11th December 1916 Driver Cavill was admitted to the 1st Australian Dermatological Hospital at Bulford, England, sick. He was discharged on 12th January 1917. On 24th January 1917 Driver Cavill departed Folkestone, England, aboard the S.S. Princess Clementine, bound for France. He arrived at the 5th Division Base Depot at Etaples, France, on 25th January 1917. On 8th February 1917 Driver Cavill was taken on strength of the 55th Battalion when it was resting at Trones Wood Camp, France. On 10th September 1917 Driver Cavill was charged with being absent without leave from 1400 parade on 5th September 1917, and being absent without leave from all parades on 6th September 1917. He was awarded 2 days Field Punishment No. 2. On 22nd October 1917 the 55th Battalion was resting at Dickebusch Camp in Belgium, after moving back from frontline support east of Westhoek, Belgium, the day before. On this day Driver Cavill was sent to the 8th Australian Field Ambulance sick. He was moved back to the 5th Division Rest Camp. On 28th October 1917 he was placed aboard an Ambulance Train and transferred to the 8th Stationary Hospital at Wimereux, France, where he was admitted with Myalgia. On 16th November 1917 Driver Cavill was placed aboard the Hospital Ship St Andrew for evacuation to England. He was admitted to the 1st Western General Hospital at Liverpool, England, on 17th November 1917, suffering from Trench Fever (serious). On 2nd January 1918 Driver Cavill was discharged from hospital and granted leave, to report to the No. 3 Command Depot at Hurdcott, England on 18th January 1918. On 27th March 1918 he was transferred to the No. 3 Command Depot at Weymouth, England. Driver Cavill departed England on 21st April 1918 aboard the H.M.A.T. Suevic for return to Australia, suffering Trench Fever . He arrived in Australia on 7th June 1918. He was discharged Medically Unfit on 7th December 1918. Australian Imperial Force unit war diaries, 1914-18 War – AWM4 Subclass 23/72 – 55th Infantry Battalion, February 1917. 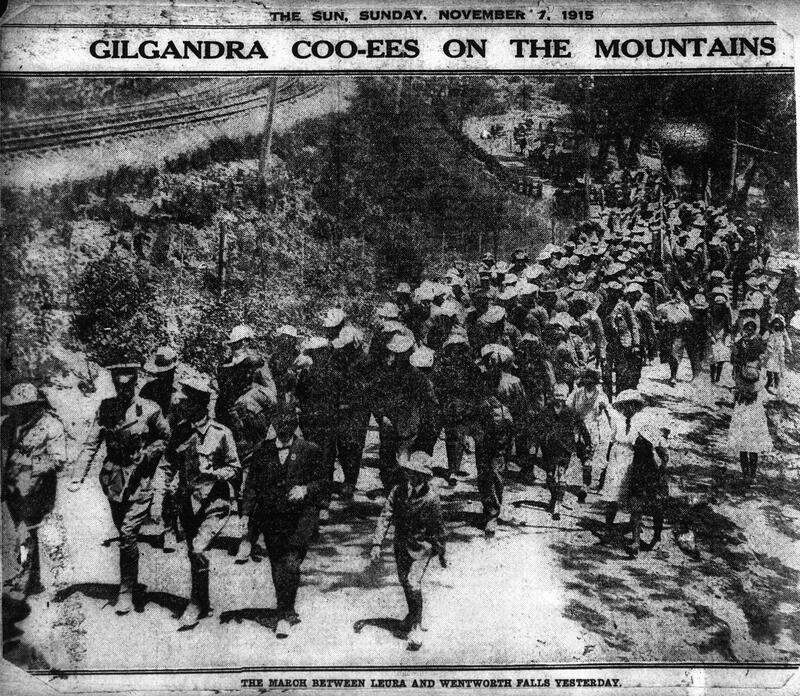 Australian Imperial Force unit war diaries, 1914-18 War – AWM4 Subclass 23/72 – 55th Infantry Battalion, October 1917.